I... kinda like this? Front fairing, tank, seat, and tail fairing off of a Yamaha FZ-1 photoshopped onto a stripped down CX500. 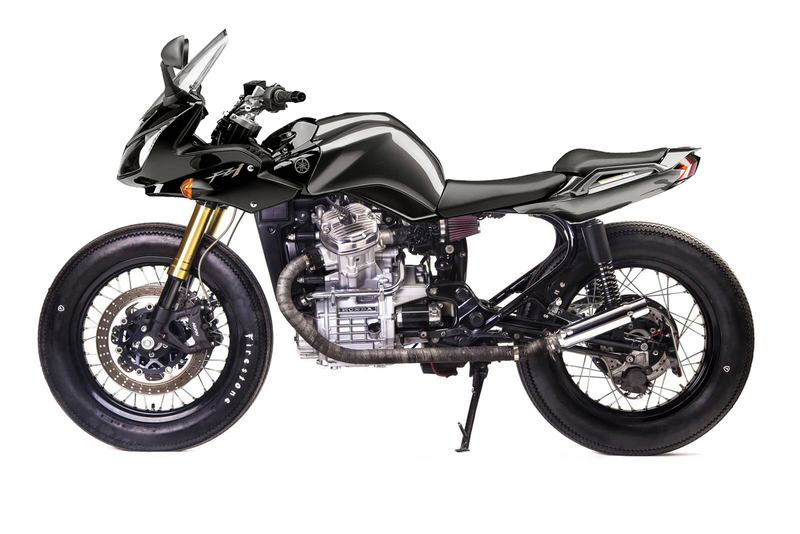 From a distance at a glance it looks like a modernish bike but has the distinctive “twisted twin” engine of a CX500. Wonder why nobody has done this before.